High cholesterol, or dyslipidemia, affects over half of all adults in England, increasing cardiovascular disease risk (1). With almost one in three deaths attributed to cardiovascular disease (1), it is no wonder that cholesterol lowering medication is the most commonly prescribed drug on the market. As with any medication, statins aren't without side effects. Add to this the rise in research studies questioning their efficacy and it becomes clear that alternative strategies are required. The management of dyslipidemia through diet and lifestyle changes is one such strategy. This post explores what cholesterol is and what can be done to achieve safer levels of it. Cholesterol is a fat-soluble substance made from a combination of a steroid and alcohol. It is made in the liver and used for a number of essential processes in the body. These essential processes include the manufacture of hormones such as testosterone and oestrogen; bile acids which are needed to digest fats efficiently; substances that aid the repair of cells membranes and chemicals which allow the brain to communicate more effectively. In fact, 10% of the brain's dry matter is made up of cholesterol. Since cholesterol is fat soluble and fat and water don't mix, the cholesterol needs a vehicle for transport in order to travel through the blood. One such vehicle is a protein carrier called a lipoprotein. Just imagine the lipoproteins as cars and the blood vessels as roads. There are two types of cars: high density lipoprotein (HDL) which is akin to a 4x4 and low density lipoprotein (LDL) that is the equivalent of a smaller city car. The city cars (LDL) are driven by boy racers. They are not handled particularly safely, are likely to speed, damage their surroundings and crash. The 4x4s (HDL) have careful, experienced drivers and even slow down the city cars to safer speeds. Too many of the city cars speeding around would cause havoc, which is exactly what happens when LDL cholesterol outnumbers HDL significantly. Cholesterol as a whole is required for essential processes. It is the type of cholesterol present, as well as coexisting conditions such as high blood pressure, diabetes and/or obesity that increase the risks associated with elevated cholesterol levels. Luckily, it is possible to reduce cholesterol naturally and to manipulate the production of less LDL to an extent. The below recommendations are designed to give you a head start. Minimising sugar intake should be the first port of call in reducing bad cholesterol. It is also the least obvious. Surprised? There are two really good reasons, why it is sugar that could be the culprit of cholesterol's damaging effects. When you eat sugar, insulin is released. Insulin, a kind of chemical messenger, tells the cells of the body that sugar is present. It is a little nudge that says: "wake up, time to use this sugar by turning it into energy". The cells dutifully take up the sugar from the bloodstream and turn it into energy. If there is too much sugar over a prolonged period of time, insulin is continuously present, leading to the cells taking insulin for granted and ignoring it. In this state, the sugar can no longer enter the cells and ends up floating in the bloodstream. A study conducted by the University of Warwick found that this free-floating sugar attaches itself to bad cholesterol, making it super sticky (2). Needless to say, this super sticky substance sticks to arterial walls. There is a second thing that happens when insulin is ignored and sugar doesn't get into cells: the cells think they are starving. To stop starvation, the liver produces cholesterol, especially the bad LDL type, in an attempt to make another fuel source available. In this instance, the production of more cholesterol is the body's way of aiding survival. As you can guess, this increased cholesterol load plus the free floating sugar just creates more super sticky cholesterol. Ditching added sugar, especially by avoiding fizzy drinks and sweets, will go some way in reducing blood sugar levels. Re-sensitizing the cells so they take up sugar more efficiently requires a careful, individualised approach and the use of specific supplements. A nutritional therapy consultation with a qualified nutritionist would be the recommended strategy in such an instance. There are two main fatty acids that should be brought into balance for better cholesterol levels: Omega 3 and Omega 6. Omega 3 fats are found in fish, meat originating from grass fed animals and in small quantities in certain seeds such as flax, chia and walnuts. Omega 6 fats are found in meat originating from commercially reared animals, vegetable oils, most nuts and grains. The ideal ratio of Omega 3 to Omega 6 fats is 1 to 3, however, most diets supply the ratio of 1 to 20 (3). Research indicates that the presence of Omega 3 fats reduces LDL cholesterol production (4), directly reducing the bad cholesterol. Omega 3 fats are anti-inflammatory whereas Omega 6 fats drive inflammation (4). Inflammation increases the stickiness of arteries so a balance between the Omega 3 to 6 fats is vital in avoiding the formation of arterial plaque. Ditching Omega 6 containing products such as vegetable oils, margarines, commercially produced pastries and non-organic meat as well as increasing fish consumption to three portions per week and including plenty of leafy green vegetables will go some way in evening out the Omega 3/6 balance. The exact balance of Omega 3 to 6 fats can now be checked via a simple finger prick test and the levels corrected with specific supplements BUT this does need the help of a nutritional therapist. A recent systematic review by the British Medical Journal found cardiovascular disease risk reduces with increased fibre intake (5). This doesn’t come as a surprise, since fibre found in beans, lentils, vegetables and whole grains, has a direct effect on reducing circulating cholesterol levels. Sadly, as a nation, our fibre intake is approximately half of the recommended 30g a day. The aforementioned study indicated a reduction in cardiovascular diseases risk of 9% with every additional 7g of fibre consumed so it is well and truly worth topping up. A good fibre day looks something like this: a breakfast of porridge made from oats with a teaspoon of flax seeds and topped with berries, lunch of a salad with kidney beans, salad leaves, cucumber, olives and a dressing of your choice, an afternoon snack of hummus with carrot sticks, a dinner consisting of a wholegrain pasta dish with a side of peas and broccoli. It is worth mentioning that the cholesterol-reducing trend seen with increased fibre consumption was not replicated by taking fibre supplements (5). Fibre-containing foods include other beneficial compounds such as vitamins, minerals and antioxidants which all contribute to better health outcomes. If holidays were available on prescription, we would be a much healthier nation. Aside from the blood pressure lowering benefits of sitting on a beach, there is another reason why most of us come back feeling better after a holiday in the sun: Vitamin D.
This nutrient, produced when the sun hits our skin, has wide-ranging effects in the body. One such effect is the regulation of serum lipids, or in plain English, the fat that circulates in the blood. It is well known that heart attack and stroke rates increase in winter and low levels of Vitamin D resulting from the lack of sun may be the link. Research indicates that low Vitamin D levels correlate with higher cholesterol levels (6). If a midwinter holiday is not an option, getting your Vitamin D levels checked via a GP or private blood test should be priority. This is especially important for those with darker skin, since the darker the skin, the harder it is to produce Vitamin D from the sun. Some Vitamin D can be obtained from foods such as egg yolk, liver, mushrooms, sardines and salmon. A large study assessing data from 168 countries concluded that a deficiency in Vitamin K is a key factor in the development of cardiovascular disease, citing a deficiency in this vitamin as dangerous as smoking (7). Vitamin K2, one of the two types of K vitamin, regulates the deposition of calcium so that bones and teeth receive calcium and blood vessels do not. In the absence of Vitamin K2, calcium is deposited on arterial walls, providing the perfect surface to which cholesterol attaches and leading to constriction. This is where things get surprising: Vitamin K2 is found in all of the foods that you have probably been told to avoid if you have high cholesterol. Egg yolks, organic butter, chicken liver and full fat organic cheese are all good sources. According to the National Runners and Walkers Health Study, walking leads to a reduction in cholesterol amongst its many other benefits (8). Before you start lacing up those walking boots for an epic weekend ramble, it must be noted that consistency is key. A reoccurring daily walk of 30 minutes or more is ideal. Interestingly, walking first thing in the morning produces more benefits than doing so later in the day. Make an appointment with yourself to wake up 30 minutes earlier and get outdoors or consider a walk to work for full effect. Deficiencies in certain nutrients, a high sugar diet, the wrong kind of fats, the lack of fibre or exercise are all contributory factors in the development of high cholesterol. Whilst correcting these will be beneficial, they will merely scratch the surface if the overall picture is not right. Stopping smoking, losing weight, reducing processed food and alcohol intake are all essential. Note the reduction in processed foods and alcohol as opposed to total elimination. A plant based diet with the addition of moderate amounts of organic meat and wild fish would be nutritional utopia but in a world full of temptation you’d be forgiven for going off piste occasionally. It is what goes in your mouth the majority of the time, not the cake that you sneaked in at the weekend, that counts. Focus on good quality, minimally processed, food sources, including plenty of vegetables, 80% of the time. 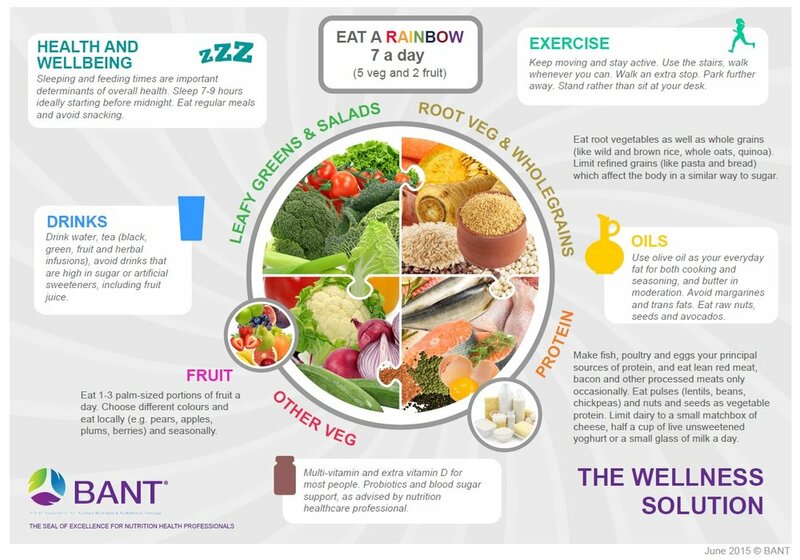 If the recommendations made in this post seem impossible or you are ready for an individualised plan then a nutritional therapy consultation is the ideal next step. Click here for further information on the kickstart nutritional therapy consultation package or get in touch if you have questions. Fatty acid and Vitamin D testing is available at an additional cost. (1) Scarborough P, Bhatnagar P, Wickramasinghe K, Smolina K, Mitchell C, Rayner M (2010) Coronary heart disease statistics. British Heart Foundation Statistics Database. (2) Godfrey L, Yamada-Fowler N, Smith J, Thornalley PJ, Rabbani N (2014) Arginine-directed glycation and decreased HDL plasma concentration and functionality. Nutrition & Diabetes, doi:10.1038/nutd.2014.31. (3) Simopoulos AP (2016) An increase in the Omega-6/Omega-3 fatty acid ratio increases the risk for obesity. Nutrients, doi:10.3390/nu8030128. (4) Dessì M, Noce A, Bertucci P, di Villahermosa SM, Zenobi R, Castagnola V, Addessi E, Di Daniele N (2013) Atherosclerosis, dyslipidemia, and inflammation: the significant role of polyunsaturated fatty acids. ISRN Inflammation, doi:10.1155/2013/191823 . (5) Threapleton DE, Greenwood DC, Evans CEL, Cleghorn CL, Nykjaer C, Woodhead C, Cade JE, Gale CP, Burley VJ (2013) Dietary fibre intake and risk of cardiovascular disease: systematic review and meta-analysis. The British Medical Journal, doi: http://dx.doi.org/10.1136/bmj.f6879. (6) Jorde R, Grimnes G (2011) Vitamin D and metabolic health with special reference to the effect of vitamin D on serum lipids. Cureus, doi:10.7759/cureus.748. (7) Cundiff DK, Agutter PS (2016) Cardiovascular disease death before age 65 in 168 countries correlated statistically with biometrics, socioeconomic status, tobacco, gender, exercise, macronutrients, and Vitamin K. Cureus, doi:10.7759/cureus.748. (8) Williams PT, Thompson PD (2013) Walking versus running for hypertension, cholesterol, and diabetes mellitus risk reduction. Arteriosclerosis, Thrombosis, and Vascular Biology, doi:10.1161/ATVBAHA.112.300878. Give us this day our daily bread.. but wait, is it gluten free? Do you think gluten is bad? If you have just answered "no" to this question then you may well be in the minority. You see, gluten-free is really trendy right now. In fact, it is so popular, that the gluten-free food market has seen a 63% growth in the past two years. What is behind this hype? Should you be avoiding that daily bread? Gluten is a protein found in some grains, including wheat, barley, rye and spelt. Gluten is difficult to break down. Undigested gluten may cause irritable bowel (IBS) like symptoms, including bloating, gas, stomach cramps and constipation/or diarrhoea. In coeliac disease, the body recognises gluten as a threat and mounts an attack against it via the immune system, in turn causing inflammation and damage to the gut lining. Coeliac disease is true gluten intolerance with the only treatment being a life-long gluten-free diet. Gluten is also implicated in non-coeliac gluten sensitivity, dermatitis-herpetiformis, gluten ataxia, Chron's disease, wheat allergy & IBS (1). If you have coeliac disease, wheat allergy, gluten ataxia, Chron's disease or dermatitis-herpetiformis, the simple answer is YES. All of these diseases are related to gluten intolerance so this very stuff is best avoided. Non-coeliac gluten sensitivity and IBS are both a dark area and rife for self-diagnosis and misinterpretation. IBS is an umbrella term relating to conditions where the bowel is inflamed. The cause of the inflammation may or may not be linked to gluten. Since gluten is hard to digest, IBS improves on a gluten-free diet (2). In addition, poor digestive function is linked with other diseases, including fibromyalgia, mood disorders, rheumatoid arthritis and other autoimmune conditions, all of which show an improvement once dietary gluten is removed (2). Should I avoid gluten if I'm not ill? If your daily intake of food is predominantly based on gluten-containing foods, you should probably work on addressing the balance. For example, cereal or porridge for breakfast, a sandwich for lunch and pasta for dinner would expose you to gluten 3x that day. If you have no issue with gluten then this combination is theoretically no problem, however, your diet would be devoid of many nutrients needed for optimum health. Our bodies thrive on variety with the majority of vitamins and minerals coming from vegetables. That sad piece of lettuce in your midday sandwich is nowhere near enough so it makes sense to switch to a salad or soup in order to obtain a wider range of nutrients. Overdoing any food is likely to cause issues, so the best policy is always to address the balance and not have it every day. Whilst gluten may not be your main concern, the remaining ingredients in everyday sliced bread should be. From hydrogenated vegetable fats to emulsifiers and various flour treatment agents, the average supermarket loaf is brimming with the kind of chemicals that do not promote health. Cereal products are prone to toxic mould so antifungal agents are used to reduce it. According to research, these treatment agents aren't just putting extra chemicals into our bodies but they are barely bringing mould toxins down to a safe level (3). Overexposure to toxic mould has been linked to liver disease, cancer, low immunity and neurological problems (3). Gluten-free breads also contain many additives, therefore consuming these is not necessarily a better option. For bread to rise, it either needs to be pumped full of chemicals (not ideal) or ferment a little. In sourdough bread, a starter culture is used and the bread fermented slowly (typically overnight). Thanks to this slower fermentation process, the bread rises but more importantly lactic acid is formed. Aside from giving sourdough its characteristic sour taste, lactic acid forming bacteria help to break down both toxic moulds (3) and gluten (4). Gluten is present in sourdough but in lower quantities than in the unfermented sliced loaf. In addition, good sourdough only has 3 ingredients: flour, water and sourdough starter (typically a mix of flour, yeast and lactic acid bacteria), therefore added chemicals are not an issue. Unless medically necessary, focus your efforts on increasing nutrient intake instead of avoiding gluten. Switching your usual lunchtime sandwich to a salad or soup, having a smoothie a couple of times a week for breakfast and bulking out your dinner with veggies are all great ways to add nutrients. If you have to eat bread, sourdough is a far better option than those chemically confused sliced loaves. 1. Foschia M, Horstmann S, Arendt EK, Zannini E (2016) Nutritional therapy – Facing the gap between coeliac disease and gluten-free food. International Journal of Food Microbiology, doi:10.1016/j.ijfoodmicro.2016.06.014. 2. Aziz I, Dwivedi K, Sanders DS (2016) From coeliac disease to noncoeliac gluten sensitivity; should everyone be gluten free? Current Opinion in Gastroenterology, 32: 120-127. 3. Oliveria PM, Zannini E, Arendt EK (2014) Cereal fungal infection, mycotoxins, and lactic acid bacteria mediated bioprotection: From crop farming to cereal products. Food Microbiology, 37: 78-95. 4. Gerez CL, Rollan GC ,de Valdez GF (2006) Gluten breakdown by lactobacilli and pediococci strains isolated from sourdough. Letters in Applied Microbiology, 42: 459-464. Here is a helping hand for those sluggish or fatigued days: a detox smoothie. Eggs for breakfast: are they good or bad for you? Eggs have been the source of significant confusion thanks to their cholesterol content. On the contrary, they are concentrated sources of vital nutrients. So are eggs good or bad for you? Eggs are good sources of Vitamin D, choline and riboflavin. Zinc, Vitamin B12, iron and folate are also present in smaller amounts. A couple of medium eggs, deliver 12g of protein. A recent study found that eating protein at breakfast reduces weight gain, thanks to its regulatory effect on appetite (1). If you are watching your weight or just want to be a bit healthier, eggs make a smart breakfast choice from a nutritional perspective. Far from being a bad thing, cholesterol is essential for many bodily processes. Yes, cholesterol is present in the yolk of eggs, but the link between dietary cholesterol and blood levels of cholesterol is very weak. In fact, 75% of the cholesterol we have in our body is made by the liver, not ingested. Research studies show that the consumption of 2-4 eggs per day does not raise blood cholesterol levels in the majority of people (2) but if you have cardiovascular disease it may do (2). This is where the science gets a little bit confusing. Studies indicate that high egg consumption increases the risk of developing type two diabetes (3). Sadly, science is never clear cut so this is at best an association, not a direct cause. In addition, if you already have type 2 diabetes, eating eggs may increase your risk of developing cardiovascular disease (4) but then again, type 2 diabetes alone increases your risk of developing cardiovascular disease. If you don't suffer from cardiovascular disease or diabetes then eating eggs is a good move. They contain some vital nutrients, including Vitamin D, a vitamin that we are particularly low on in the UK. Eggs are quick to prepare and contain protein, which when eaten at breakfast has been shown to reduce weight gain. If you are used to eating cereal for breakfast, eating eggs a few times a week may benefit your health and waistline. As with any food, it is important not to overdo it. A couple of eggs three times a week is ideal. Organic is best. Luckily, in comparison to other organic animal sources of protein, eggs are the cheapest. In a nutshell: eat organic eggs for breakfast 2-3 times a week. It'll do you some good. 1. Liedy HJ, Hertel HA, Douglas SM, Higgins KA, Shafer RS (2015) A high-protein breakfast prevents body fat gain, through reductions in daily intake and hunger, in "Breakfast skipping" adolescents. Obesity, 23: 1761-1764. 2. Djoussé L, Gaziano JM (2009) Dietary cholesterol and coronary artery disease: a systematic review. Current Atherosclerosis Reports, 11: 418-422. 3. Djousse L, Gaziano JM, Buring JE, Lee IM (2009) Egg Consumption and Risk of Type 2 Diabetes in Men and Women. Diabetes Care, 32: 295-300. 4. Shin JY, Xun P, Nakamura Y, He K (2013) Egg consumption in relation to risk of cardiovascular disease and diabetes: a systematic review and meta-analysis. The American Journal of Clinical Nutrition, 98: 146-159.